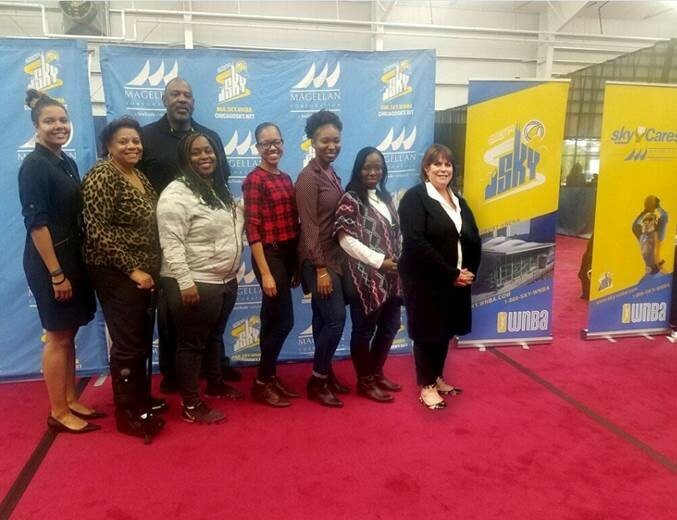 On October 27, 2018, from 10:00 am -5:00 pm, lawyers from the Law Office of the Cook County Public Defender participated in the Clean Slate Summit. Hosted in part by Dorothy Brown, the Clerk of the Circuit Court of Cook County, in cooperation with Nikki Childress and James Burda of the Chicago Sky NBA organization, as part of the Clear Skies Initiative, the full day expo allowed people to attend fee free to learn which juvenile cases are expungeable (meaning the case is erased from the person's criminal record) and the process for getting those cases expunged. The lawyers from the Law Office of the Cook County Public Defender were there to not only offer this advice but to help with the process to file for expungement. Assistant Public Defenders Kim Sorrels, Carol Howard, Ashley Deveax, Sherie Dykes-Henry, and Maurice Sykes, were joined by DePaul Law Student Carli Wright, at XS Tennis Village, 5336 S. State, Chicago IL 60609. There they met and helped members of the public who registered and attended free of charge. We want to thank them for their service.